For a fast, affordable scaffolding service, trust Piper Scaffolding to deliver great results every time. Our scaffold experts can advise you on the best scaffolding for your needs, then deliver and assemble it at a time that suits you. 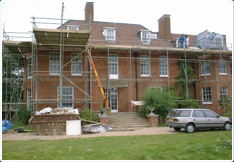 Our team of professional trained scaffolders offer a very competitive domestic and commercial scaffolding service. At Piper Scaffolding we understand that quality workmanship is just as important as reliability and efficiency. 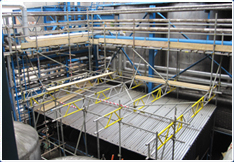 Safety is key when it comes to dangerous construction or elevated repair-work, so that's why we take extreme care in every assembly, following strict processes to ensure your scaffolding is safe and secure. We also take extra care when it comes to the platform, which other scaffolding companies often neglect. Our scaffolding contractors take on many commercial scaffolding projects, both large and small, around Bedfordshire, Buckinghamshire, Hertfordshire and other local areas. We provide everything you need for all your domestic scaffolding needs. 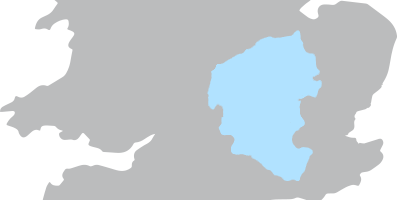 From your initial installation to further help and advice, we provide a first class service. Based in Bedford, Piper Scaffolding offer services for scaffolding throughout many local areas within Bedfordshire, Buckinghamshire, Hertfordshire and Northamptonshire, and have in recent years been continuing to expand further afield as well. Piper Scaffolding was established back in 1991 with a single lorry and £8000 worth of material. Since then, we have continued to grow as a business, gaining a reputation due to our commitment to quality workmanship and customer service. We became a limited company in 2002 with a fleet of six vehicles, a works division and almost half a million pounds of material. As a leading contractor in the Bedford area, we provide exceptional services which assures full safety. At Piper Scaffolding, we're proud of all the work we undertake. No matter what you require - from aluminium support to simple tower support - we deliver on the same high standards every time! Here at Piper Scaffolding, we value our customers and ensure that all our customers receive the best possible service so that they come back to us over and again. Whether you''ve hired scaffolding before or are new and full of questions as to how the process work, our highly trained team is here to help in any way possible. We are constantly expanding and growing as a renowned scaffolding company, with many of our workforce based in Northampton and Bedford, two of the main lcoal areas we serve. Our continued expansion is owed not only to our high standards of workmanship, but also to our customer service and the relationships we have established with our existing domestic and commercial clients. If you require a professional scaffolder in Bedfordshire or some of the other areas we serve such as Milton Keynes and Luton, then contact a scaffolder you can trust for your scaffolding hire, setup, and dismantling service. Contact us at Piper Scaffolding by calling 01234 766 900 or by leaving us a message via our contact form on our contact page. We endeavour to respond as promptly as possible to all queries. Piper Scaffolding are SG4:15 compliant - meaning a safe and quality service with each project and installation, ensuring that you can feel confident that the job will be done properly by scaffolding contractors who care.